On Sunday 28th February the Daffodil Ride took place at Pendine Beach, Carmarthenshire. The Daffodil Ride saw hundreds of riders embarking on the challenge of a 43 mile loop through hilly Carmarthenshire and raised £3,500 for charity Trust PA. 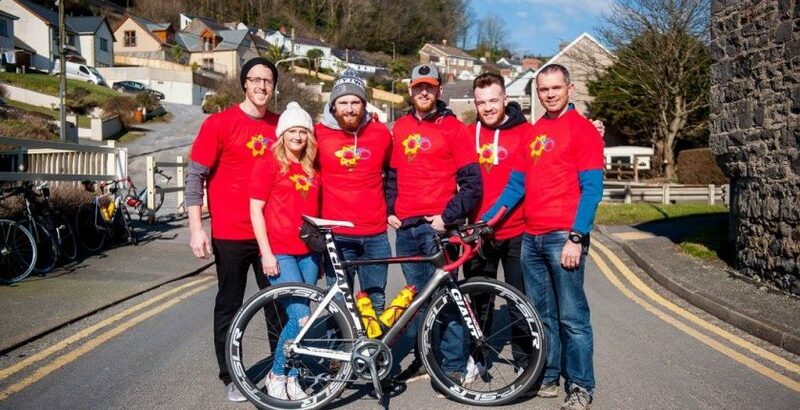 The Daffodil ride is in its 9th year and is now being organised by 3rd year students from the School of Sport, Health and Outdoor Education (SHOE) at the University of Wales Trinity Saint David (UWTSD), Carmarthen. Five BSc Personal Training students, Jake Doan, Lauren Tynan, Nathan Collyns, Charles Parson and Owain Tobias were in charge of organising the Daffodil Ride this year. The event included a sports massage tent and a pasta party at the end of the race. Geraint Forster, Lecturer in Outdoor Education who runs the 3rd year module Interdisciplinary Support for Adventurous Activities said: “We are thrilled with the success of the Daffodil Ride. As a School of Sport, Health and Outdoor Education, we really want to promote health and wellbeing both within and outside of the University. To see such a wide range of riders, including staff and students of the University, as well as local people and even those from further afield, successfully challenge themselves to complete a gruelling ride is really rewarding. Knowing that in order to complete this challenge, these individuals have had to train and prepare over previous weeks and months is also very rewarding as it has a knock-on effect on their general health and wellbeing. “Being physically active on a regularly basis is so important for health, and can prevent the onset of numerous non-communicable diseases. Physical inactivity is now one of the biggest risk factors for premature mortality, so our hope is that organising an event like this motivates people to be more physically active, and also to improve other aspects of their health such as nutrition.